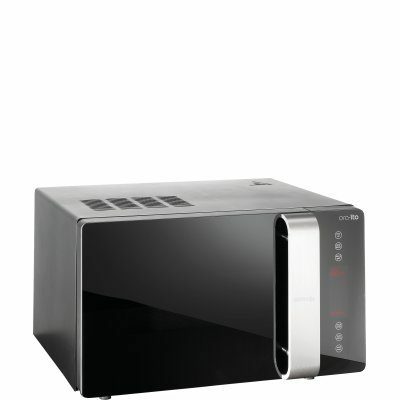 Now you will easily brown your favourite dishes for the perfect crust. 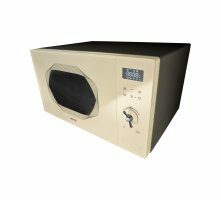 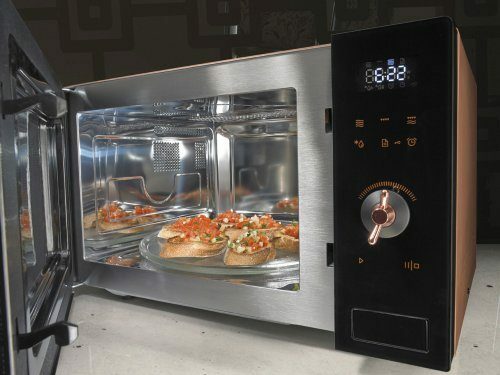 The grill heater can combine with the microwaves for extra fast baking or roasting, which is particularly handy for pizza or smaller cuts of meat. 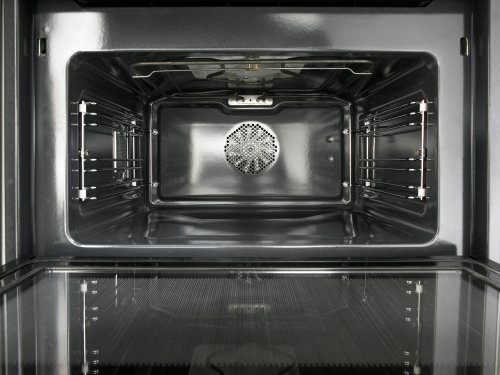 After the first half of the cooking process, the oven will remind you to turn the food for even cooking and the perfect crunchy pleasure. 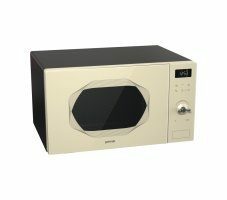 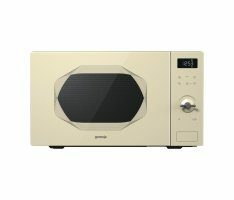 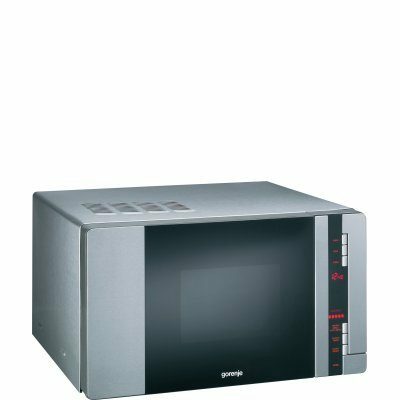 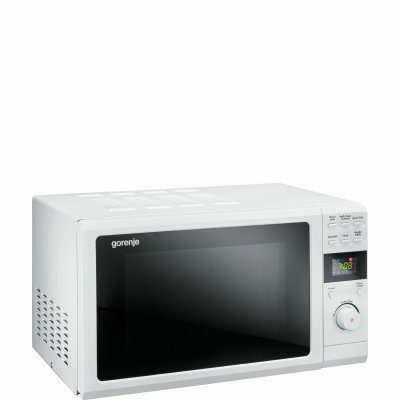 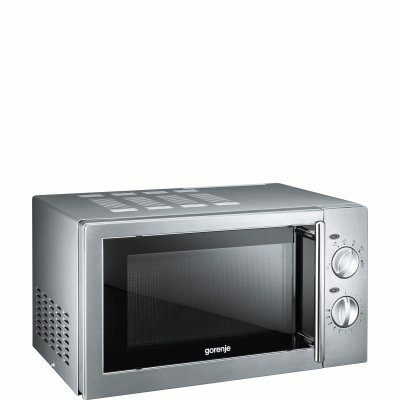 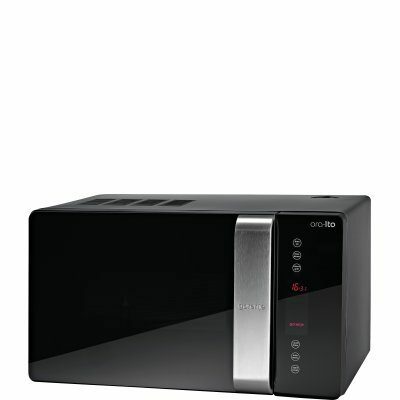 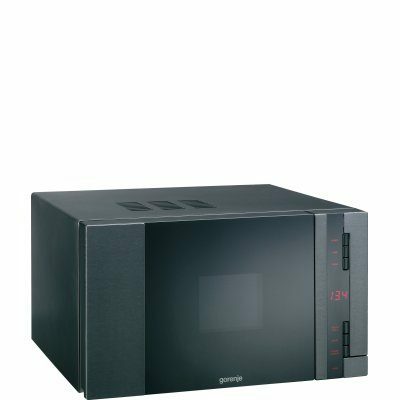 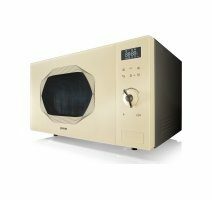 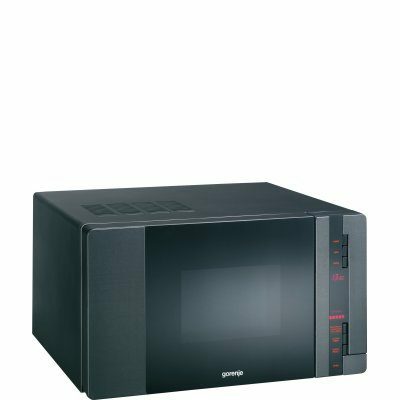 Gorenje Infinity microwave oven allows setting the cooking time for up to 95 minutes. 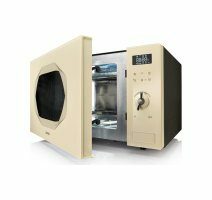 It offers 8 preset programs for reheating, cooking, and defrosting, as well as several must-have functions, including the SpeedFrost rapid defrosting feature. 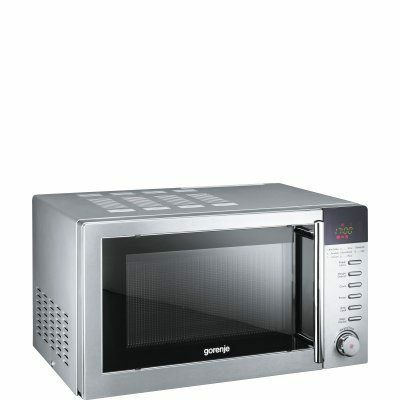 The clearly laid out LED display provides information about the selected program or function, and the remaining time. 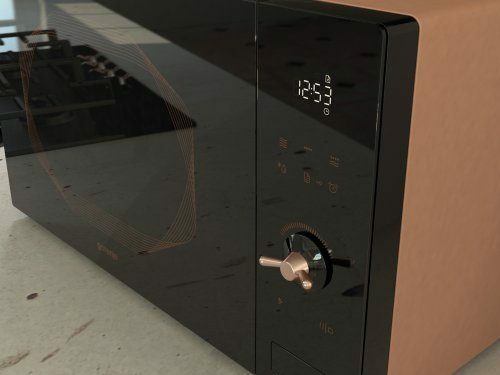 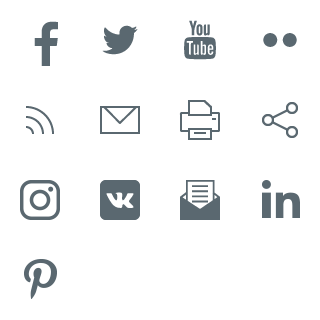 The stylishly designed knob allows you to simply and accurately choose between programs and to adjust your settings. 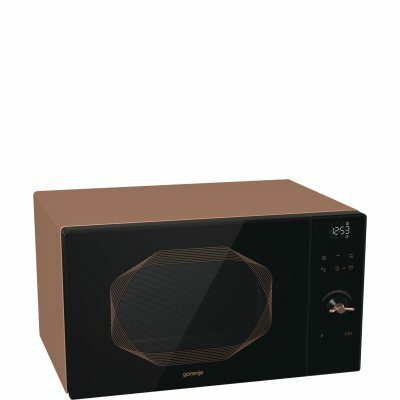 By pressing and holding the knob, you can also adjust the volume of acoustic signals.